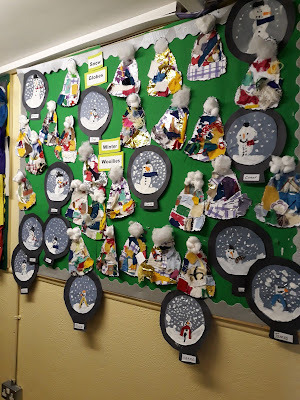 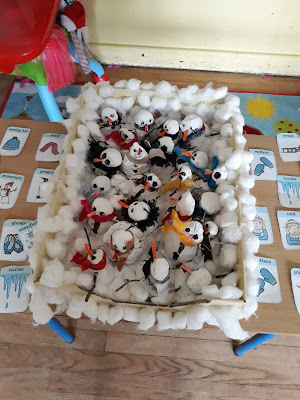 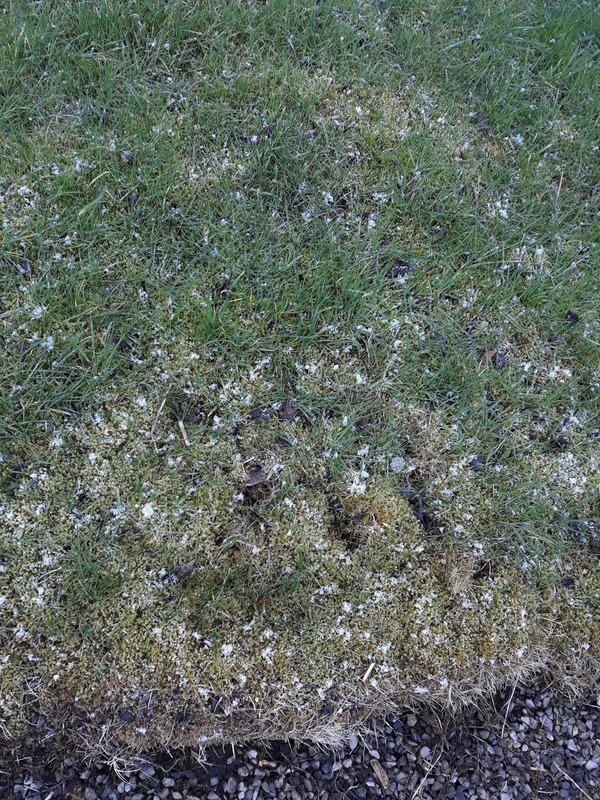 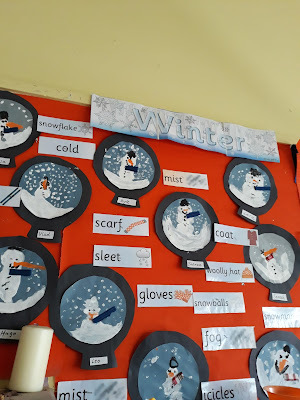 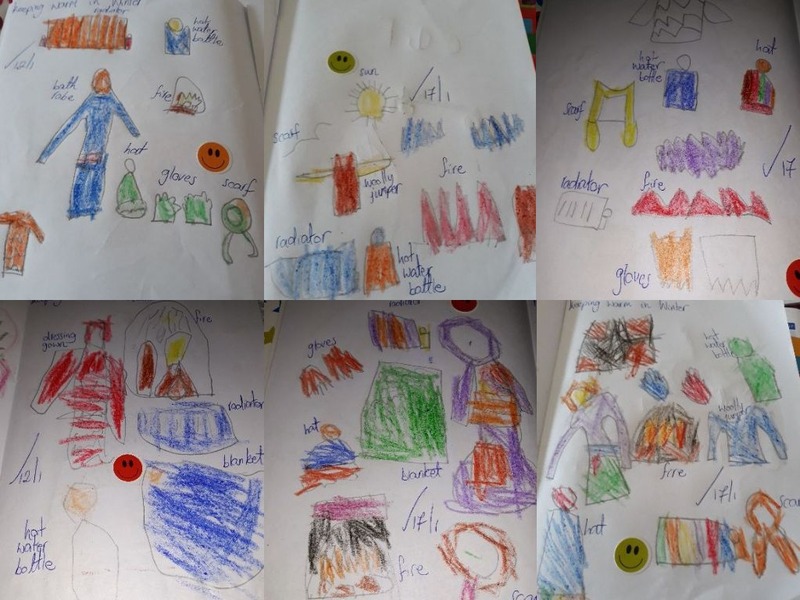 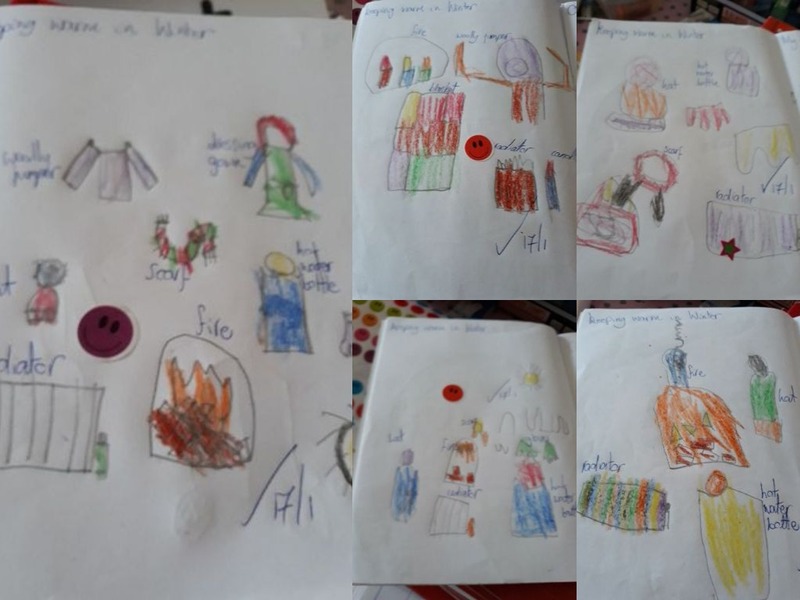 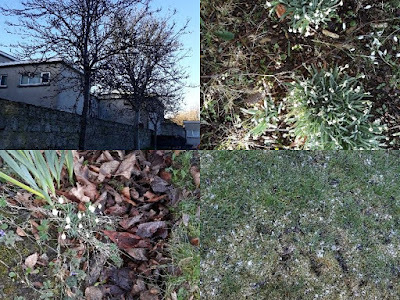 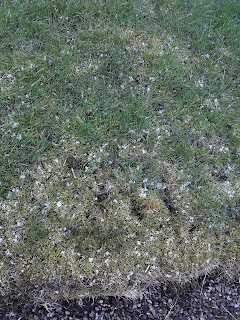 We have had a very cold January-it was a good time to discuss all those winter words in Room 1-cold, snow, raining, freezing, frost, bitter, winter woollies, snowflakes, snowmen, ice, short days, dark nights etc. 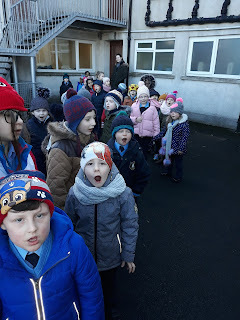 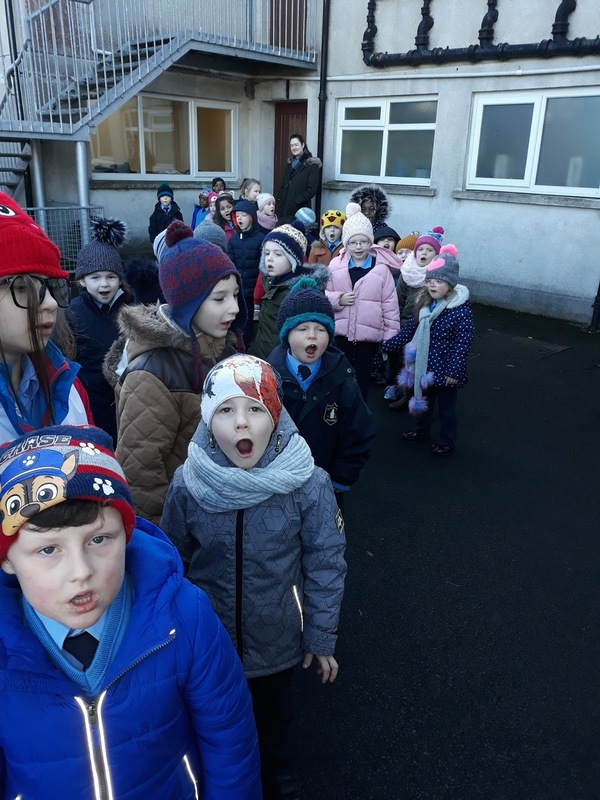 One cold day in January, we set out on a 'Winter Walk' around the school. 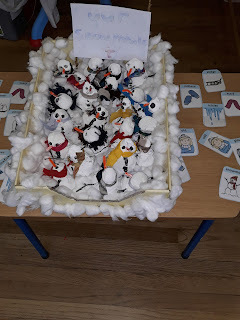 We made sure to wrap up that day. We put on our coats, jackets, woolly hats, gloves and scarves to keep warm. 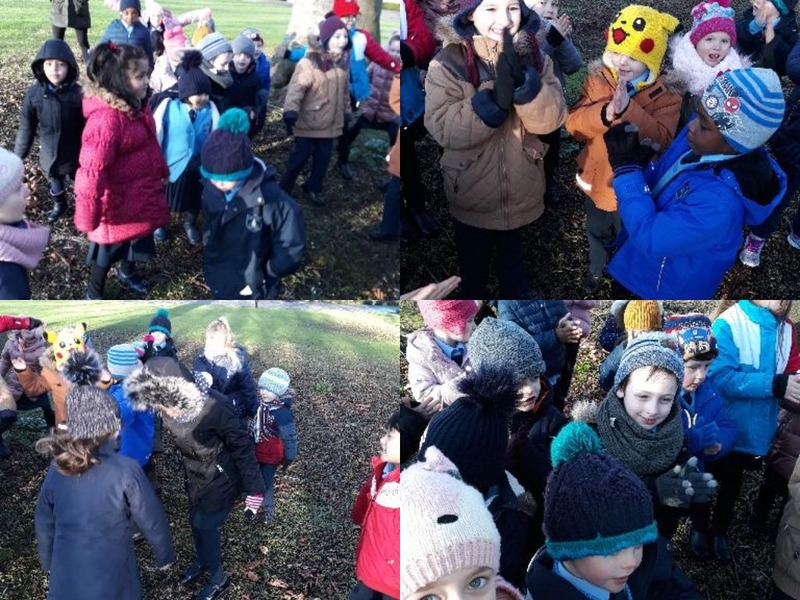 We hope you enjoy the pictures-you will see that there are no leaves on the trees, plenty of sticks on the ground and some snowdrops under the beech tree. Check out our very own snowmen.....made from clay and painted once dried.